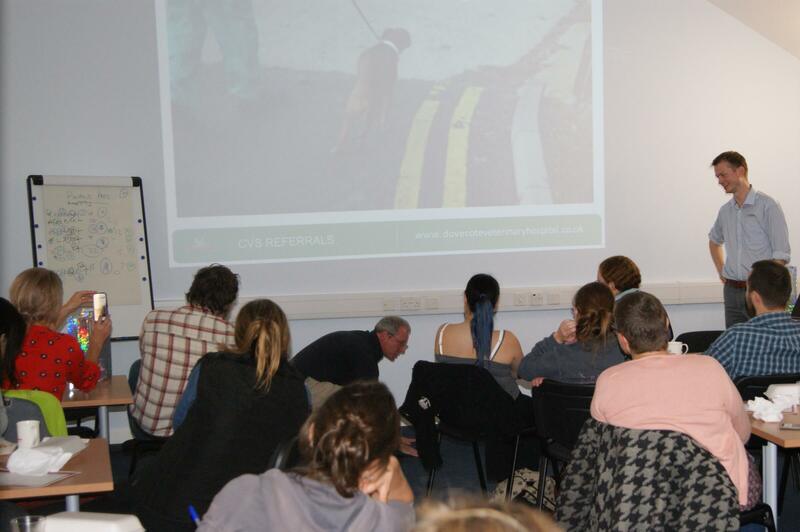 This year’s series of free evening CPD lectures taking place at Dovecote starts on Wednesday 18th April, with a talk on Update on otitis externa by Dr Stephen Shaw BVetMed CertSAD DVD PhD MRCVS, RCVS Recognised Specialist in Veterinary Dermatology. This talk is aimed at all small animal clinicians treating ears. Chronic ear disease usually develops through incomplete treatment of secondary bacteria and yeast infection and/or the difficulty in recognising or appropriately treating the underlying cause. This evening meeting will discuss a standardised approach to acute otitis in practice and consider the ways to monitor progress and spot the key history points and clinical signs that allow identification of the underlying cause. Supper is from 7.00pm with the talk starting at 7.30pm and CPD certificates will be issued to all attendees for 1.5 hours. Click here to download our PDF Guide.